Living coral, metallics and sequins, athleisure, heavy jewellery, cowgirl boots: hear it from the experts on what fashion trends to expect in 2019. While last year saw the rise of the ‘ultra-violet’ colour, this year, ‘living coral’ is expected to enjoy the limelight. Metallics and sequins will continue to rule the fashion world and so will power suits and athleisure wear. 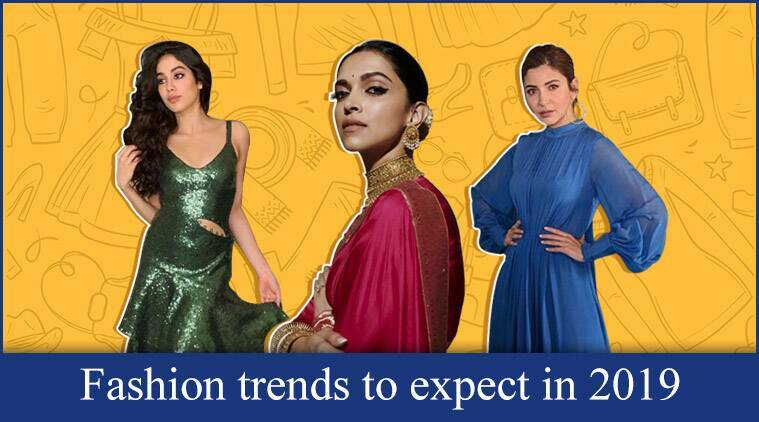 Let’s hear it from the experts on what are some of the top trends that will make a statement in 2019. Bold shoulders and statement sleeves have been the ‘it’ thing in 2018 and with the new year, the trend will just go to a whole new level. Right from cape sleeves, mutton sleeves to bell sleeves, they are here to stay. “Exaggerated sleeves of all kinds are in! Bell-shaped, ultra long, oversized — this trend is going to rock 2019,” says Rocky S.
“Street style has become just as major as the runway shows themselves! The athleisure look is always going to stay as it’s a brilliant combination of style with comfort,” says Rocky S.
Tailored and colourful suits can be seen everywhere. Right from sequin blazer-flared trousers combo, striped powersuits and skirt-blazer combo, suits will continue to rule. Last year, during the fall runway shows, top brands like Calvin Klein, Fendi and Isabel Marant showcased the cowboy boots in their collections and ever since, the trend has become popular. Which trend would you like to try out?